That was the pop culture question twenty-five years ago when Twin Peaks premiered on network TV. A mix of drama, humour, the supernatural and the just plain weird, David Lynch' creation was one of those polarizing series that you either loved or hated. For my wife and I it was must-see viewing during its two-year run. Once we moved back to BC, it became an ambition of mine to visit the filming locations in Washington State. The series remained a cult classic which led to a highly anticipated third season being recently produced after a quarter-century off the air. 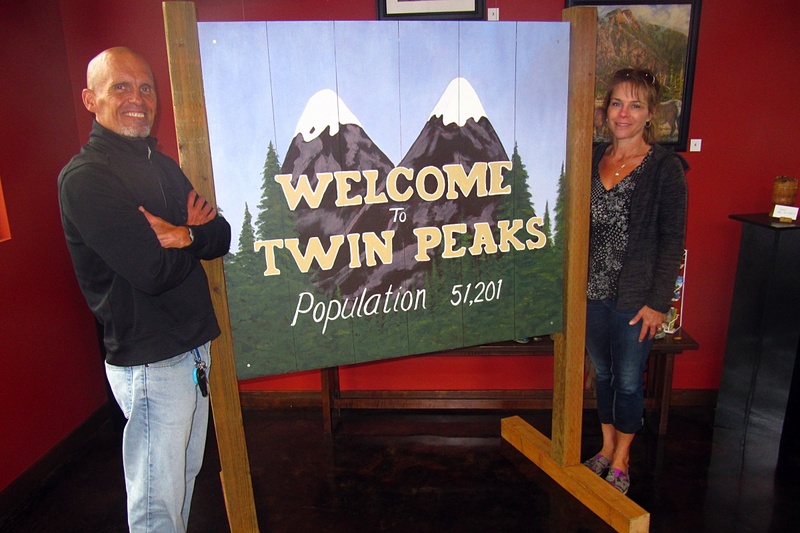 It inspired us to finally to visit the real life town of Twin Peaks, a.k.a. North Bend, Washington, during our summer road trip.